When Chelsie O’Neal gave birth to her son Connor, there was no cry, no breath, no heartbeat. She knew her time with him would be limited. Fortunately, that time was extended thanks to the CuddleCot at the hospital. 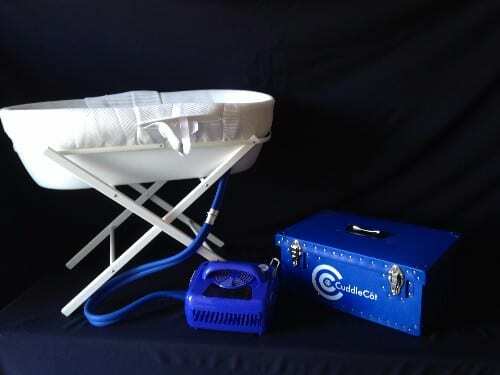 A CuddleCot is a portable cooling system that preserves stillborn babies’ bodies while their parents grieve. When not kept cool, the bodies begin to deteriorate after delivery. As a way to help other families going through the same devastating loss, Chelsie and Clayton O’Neal and their friends Jessica and Hayden Limbaugh, who also suffered the loss of their son, are organizing a fundraiser to help buy a CuddleCot for another hospital that does not have one. Another of O’Neal’s friends, Mikayla Britt and her husband Kolton, also lost their son Baylor to stillbirth in June of this year, and they will be at the tournament helping as well. Even though the O’Neals never got to hear their baby’s first cries or even see the colors of their eyes looking up at them, they have a strong bond with their children and want to keep his memory alive. On Oct. 13, the family will hold a co-ed softball tournament; the fundraiser starts at 9 a.m. at the Terry Sims Diamond Sports Complex north of town. The tournament is a double elimination event with prizes to first, second and third places. They will also hold a silent auction with the proceeds to be used to purchase a CuddleCot for a local hospital that is in need of one. Chelsie O’Neal and Jessica Limbaugh became friends four years ago when they were working at Wood-Lawn nursing home in Batesville. Both are registered nurses who found they were pregnant at the same time. Limbaugh was due on April 4, 2017, and O’Neal was due on Aug. 1, 2017. But their joy was shattered when each suffered an unimaginable shock. Jordyn Elijah Limbaugh was born still on Jan. 28, 2017 and Woodrow Connor O’Neal, whose family refer to him as Connor, was born still on July 26, 2017. The Limbaughs learned Jordyn was not growing like doctors thought he should, but no one could seem to explain why. At 30 weeks, the Limbaughs found their baby did not have a heartbeat. Jordyn was delivered the next afternoon. He weighed 2 pounds. Testing later showed Jordyn had an extremely rare chromosomal abnormality called Trisomy 22 mosaicism. Meanwhile, Connor appeared to be a healthy boy, O’Neal said. Then she began premature contractions that lasted for about four weeks, which caused her a lot of pain. Her doctor wasn’t overly worried about them — but then they found out he had no heartbeat. Connor was born at 5:18 in the morning and had the most beautiful red hair and olive skin Chelsie had ever seen, and it looked so much like he would open his mouth and start crying. O’Neal said they were allowed 12 hours with their son. O’Neal said any extra funds from the softball tournament will go to “adopting” a hospital to receive Mamie’s Poppy Plates, ceramic keepsake plates that are given to families at no charge, customized with the baby’s footprints, name and birth information. “It’s a wonderful gift for all grieving parents and families,” O’Neal said. She also said there is an account set up at Citizens Bank in Connor’s name to accept donations for the purchase of the CuddleCot. Last year, Limbaugh and O’Neal held a balloon release not only to celebrate the lives of their boys but also to raise awareness about infant and pregnancy loss. “I still want the same message. I want to break the silence about stillbirth and show that even after my son is gone he is still making a difference,” O’Neal said. “People don’t really talk about it,” she said. 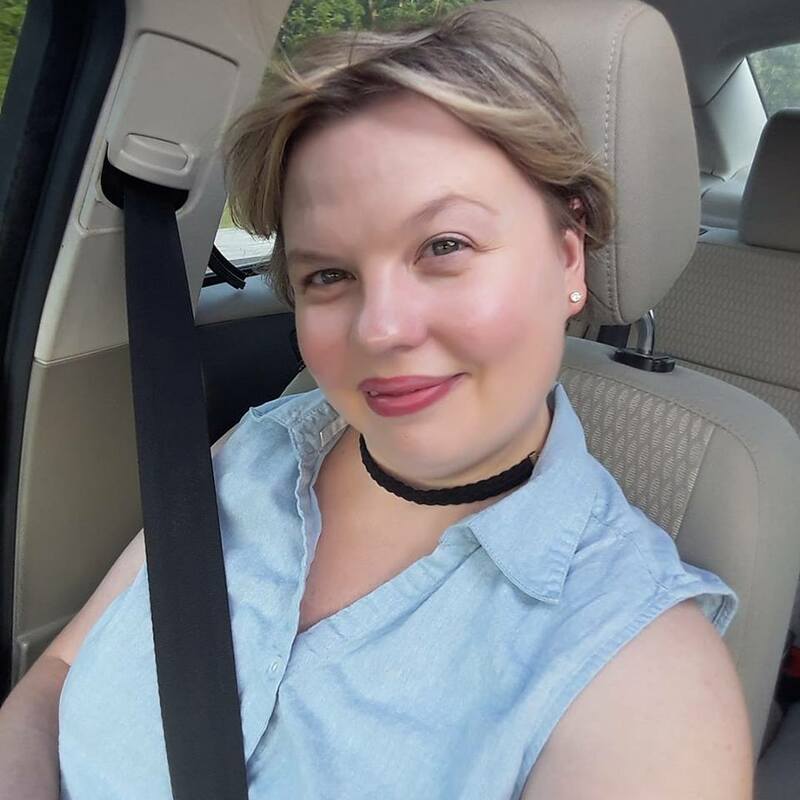 O’Neal said although she is very open about Connor, some of her family members had also lost children before birth, but none really wanted to talk about them. After Connor’s death, O’Neal said some families have reached out to her. Since Connor’s death, the couple has suffered two additional losses to miscarriage: Reese at 12 weeks and Harlen at 9 weeks, which just happened to be Connor’s first birthday. “I think about them 24/7. My biggest fear is that people are going to forget them. I’m the only one that’s going to remember them five to 10 years down the road. That’s part of the reason I push so hard to involve them in everything we do. Maybe not Reese and Harlen as much as I do Connor because he was the greatest loss but I still want them to be a part of our family and a part of our lives even as we ‘move on’ past the freshness of the pain and into the new reality we must live every day,” O’Neal said. She wants to give a voice to those families and spread word about the fundraiser while honoring Connor’s memory. For O’Neal, this heartbreak is not taboo, and she knows there are other families who share their pain. Registration for the softball tournament is $250 per team. Anyone interested may contact O’Neal at 870-834-9084, her husband Clayton at 870-307-1797 or Heath Vaughn at 870-612-4401. Both families have since marked their first Christmases, first Mother’s Day and Father’s Day, and the boys’ first birthdays, without their babies. But for Connor and Jordyn, their stories did not end when their parents’ dreams were shattered last year, nor did their stories end with a balloon release. Chelsie and Clayton, and Jessica and Hayden, are making sure their sons’ stories will never end as long as they are alive to remember their children. ***Special thanks to the Batesville Daily Guard and Andrea Bruner, editor, for allowing the Ozark Gateway Regional Council the opportunity to share this story.